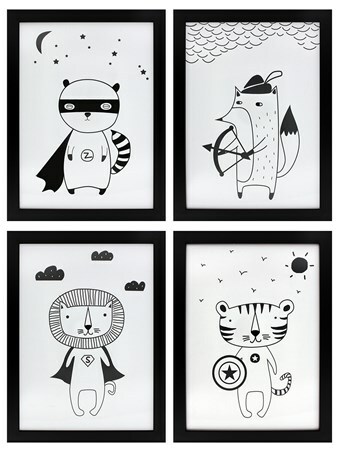 Mess with this militant warrior and you'll die like the rest who have dared to cross her path! The youngest of five children and always fighting with her siblings to get her own way, Erin 'Battery' Baker quickly went through the ranks after enrolling in the army. Armed with her deadly war machine and her kinetic armour ready to trigger at any moment, the lethal operative leaps through the air as a spray of shrapnel falls around her. Enjoy the epic gameplay of the 2018 video game, Black Ops 4, with this wicked poster from Call of Duty hanging proudly in your gaming den. 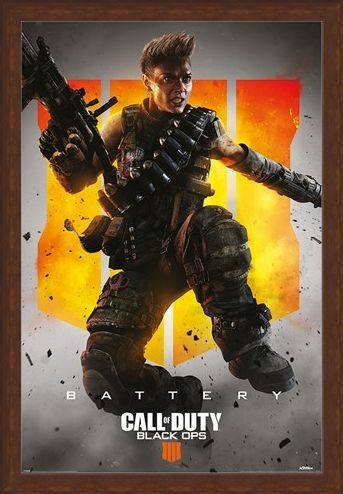 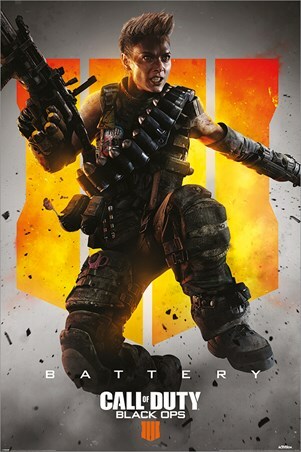 High quality, framed Battery, Call Of Duty: Black Ops 4 poster with a bespoke frame by our custom framing service.